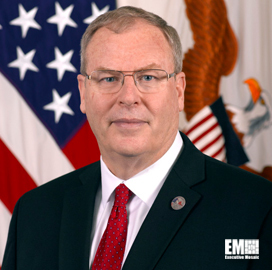 Bob Work, deputy defense secretary, has pinpointed Guam as a strategic hub for the U.S. rebalance efforts in Asia Pacific due to its location and existing military bases and anti-ballistic missile system. Cheryl Pellerin wrote Tuesday for DoD News that Work addressed an audience in Guam Tuesday to speak about U.S. plans to build up defenses in Guam through deployment of troops and weapons systems. “Marines are being distributed around the Pacific — 5,000 Marines are going to come here to Guam, 2,500 Marines are going to Australia, some Marines are going back to Hawaii [and] about 3,500 Marines are going up to Iwakuni [Japan],” Work said on the organization of the Marine Air-Ground Task Force. The U.S. moved last year to permanently retain the Terminal High-Altitude Area Defense battery system in Guam’s Andersen Air Force Base, Pellerin reports. Work highlighted that the Asia-Pacific rebalance targets military forces, alliances with partner nations such as Japan and Australia and economic activity through the Trans Pacific Partnership on free trade. He also spoke about Guam’s role in the rebalance during a visit that included a tour of the defense facilities and bases that make up Joint Region Marianas in Guam.